Develop Once, Deploy Everywhere for coordinating the patient care journey to deliver better outcomes. With custom-made mobile apps, empowers healthcare providers to bring together real-time incident reporting, work order execution and management and project planning in a single app – accessible across phones and wearables. Go beyond simple patient care apps. Our custom mobile app development platform can automate even the most critical and complex workflows with hospital operation management capabilities that start with the pre-built business module. Our custom-made healthcare apps offer a unique digital platform that enables you to improve complete patient care and communication between doctors & hospital or clinical staff. We can help create the perfect form for your patient care planning. Take a demo of our apps today to see how we can make your healthcare units team members jobs more error free. The custom mobile app for healthcare not only provide highly advanced healthcare solutions but also allow the doctors & nurses, patients to access data from anywhere, anytime. We are committed to building and installing self-service apps for healthcare to reduce administrative costs, streamline call center services and optimize payroll management so that healthcare providers can improve employee and customer satisfaction. Doesn’t matter if you are vying to buy a pre-configured solution or a prototype and a fully-loaded app, The Mobile App Maker Employee Self-Service solutions for healthcare solutions can have you up and sprint for less than what a programmer cost. We are ready for your unique hospital/clinic processes. Our mobile app development platform creates apps and workflows that are 100% custom for your unique business needs. 90% of the apps & workflows development happen through automation while the remaining 10% business layer customization unique to your business, to bring the app and workflow together. 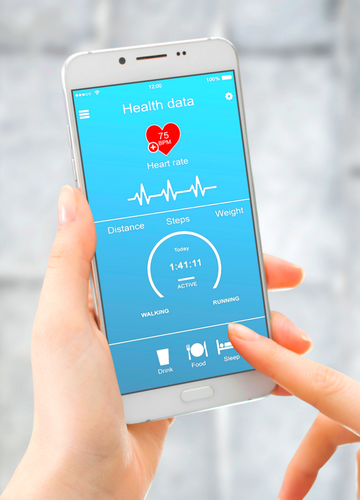 Mobile applications for healthcare providers gives the greater treatment visibility, complete accuracy of patient information and real-time medication and patient condition tracking. It enables healthcare organizations to generate and implement strategies to enhance the efficient, targeted and effective patient care.